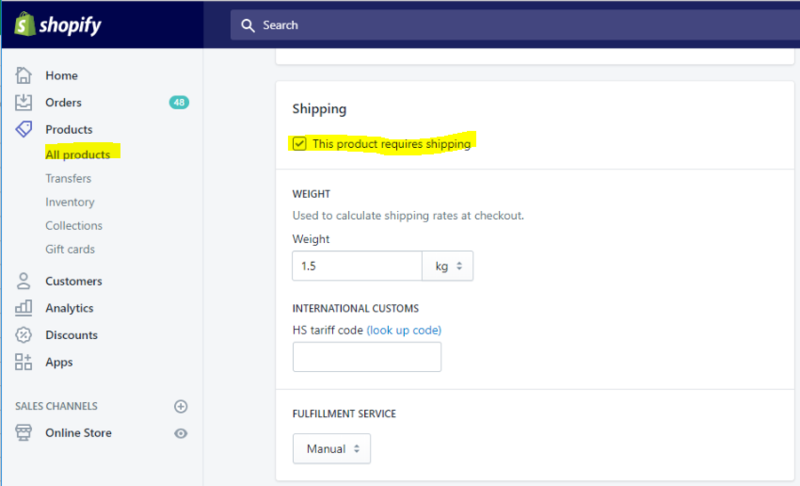 There are some settings that are required for orders to be synced from your connected Shopify store to Easyship. 1) Orders need to be paid or marked as paid in Shopify. 2) Order cannot be marked as fulfilled. 3) Item/Product needs to require shipping.